Signed and dated bot. c., black synthetic polymer paint "R.LARTER.4.75.". Deborah Hart, Richard Larter , 'La comédie humaine', pg.31-78, Canberra, 2008, 61, 64, 65 (colour illus.). 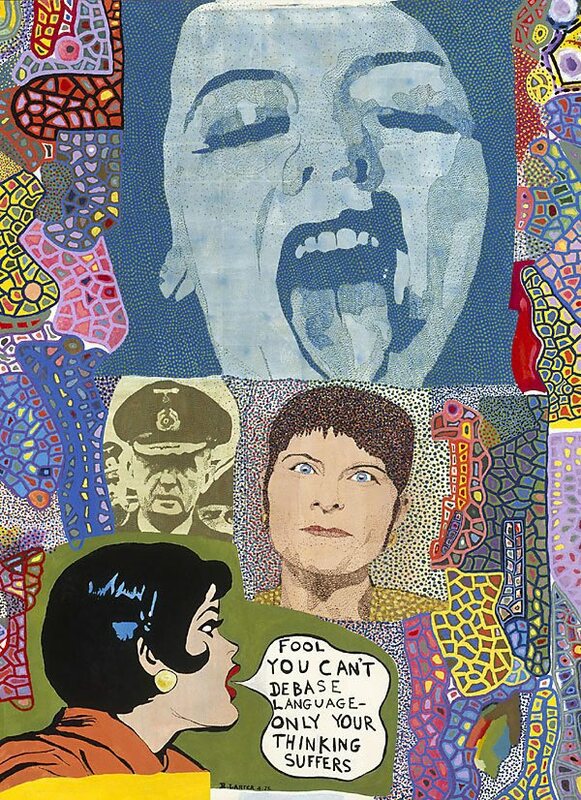 Wayne Tunnicliffe, Pop to popism , ''The easel did not go pop: it went bang! ': Australian pop art', pg. 137-186, Sydney, 2014, 189-90, 230, 231 (colour illus. ), 303, 324.